Zac Efron just can’t seem to do anything without kicking up a fuss can he? First came High School Musical – driving girls and boys across the world into a Wildcat frenzy. Sadly, I must admit I too was part of the craze. In more recent times Efron has been making headlines as a result of his hair – his facial hair, and his hair hair. First, or so I can remember, came the highly trolled Panini beard. #Beastmode? More like #feastonmycheeseandhampaninimode. Am I right? Check it out below. Then came dreadlockgate. Though his Wildcats days as Troy Bolton are far behind him, Zac Efron will for many of us always be the squeaky clean Disney star from High School Musical. So you can imagine the levels of surprise when the 30-year-old Hairspray star shared a moody black and white Instagram pic, showing him with a full head of dreadlocks and a bit of a beard. Sorry for my unpopular opinion, but Zac Efron is still yummy dreads or no. This all makes perfect sense. Zac Efron and dreads are a perfect match. However, others thought he just looked dread-ful, longing for him to return to a sleeker, more Efron-y vibe. Why does Zac Efron have dreads I did not sign up for this. Zac Efron is the hottest person on this earth…. but he just posted a picture of him with dreads and I’m not feelin it. Many people have been offended by Zac’s dreadlocks, viewing this as an extremely embarassing incident of cultural appropriation. Zac Efron in dreads. I have really seen it all. What in the cultural appropriation is going on? Troy, get your nonsense head in the bloody game. Pls and Pls. Zac Efron tiene dreads… I’m offended and aroused at the same time. It’s not about how his dreads look it’s about cultural appropriation which doesn’t fly even if it was ‘just for fun’… whatever that means? Zac Efron has had a special place in my… heart for years but that doesn’t mean he gets a free pass. Well now, ladies and gentlemen, we have the third instalment to the trilogy courtesy of a fishing trip in LA. Efron shared the photo, which unveils his hair in French braids, to his Twitter page captioning the snap ‘Beautiful LA Carp #LAriver’. And yes, you guessed it, folk just don’t know what to make of the new move. Some loved the look, with comments ranging from ‘You look so good!’ to ‘you’re beautiful’. Others weren’t so keen however with one writing ‘get rid of that hair’ while another added ‘excuse me sir what are you doing with your hair?’. 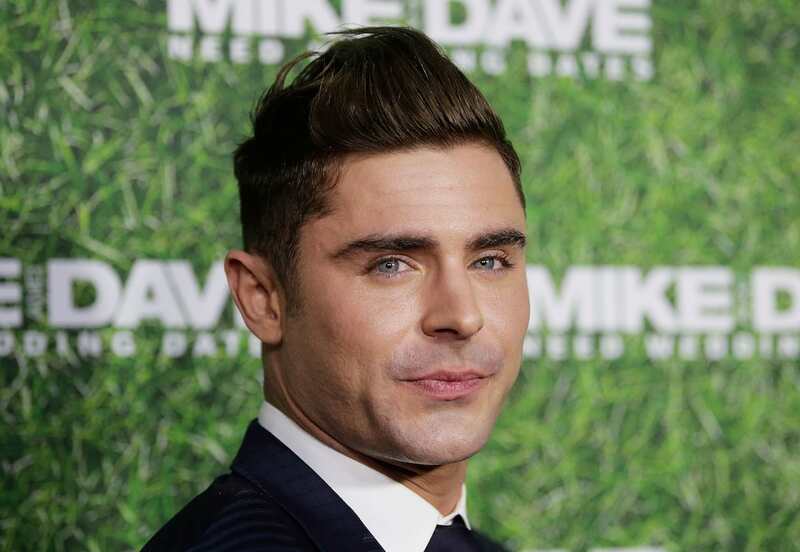 What’s your take on Efron’s healthy head of hair?